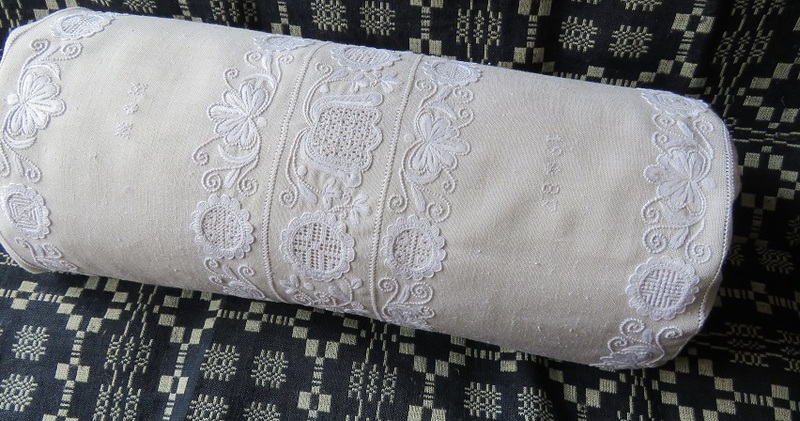 A beautiful, eye-catching bolster cover is embroidered with Schwalm borders. Narrow Schwalm borders are worked relatively quickly. And it is always possible, just as the fancy takes one, to add more borders to a design. First a bolster pillow form must be found. 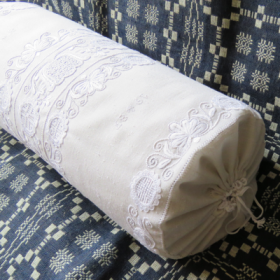 The bolster pictured has a pillow form that measures 40 cm long with a 15 cm diameter. A linen piece was cut to a size of 58 cm X 52 cm. Along the 58 cm edge, measure out 20 cm from the center axis to both ends and work Four Sided stitches along these two lines. These lines will mark the ends of the roll later. Inwards of the two Four Sided stitch rows, typical Schwalm borders are embroidered. A great quantity of similar Schwalm borders can be found in the booklet Schwalm Curved Lines, Narrow Borders, and Ornamental Stitches. In the middle, a design of three Schwalm borders is stitched—each border separated from the next with one row of Four sided stitches. A wide range of different filling patterns is used. The edges at the two ends get hems measuring 2 cm + 1 cm fold. They are additionally decorated with needlelace. Before sewing the long edges together, the piece is washed for shrinkage. Then it is ironed and sewn together. Begin and end the long seam before the hems. 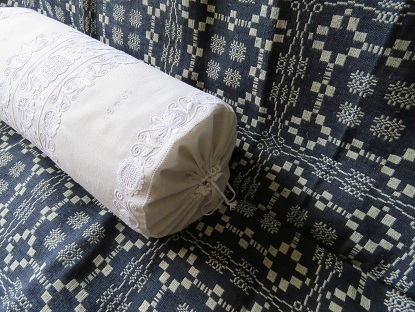 A cord—for gathering and closing the ends—is inserted into the hems of the bolster cover. 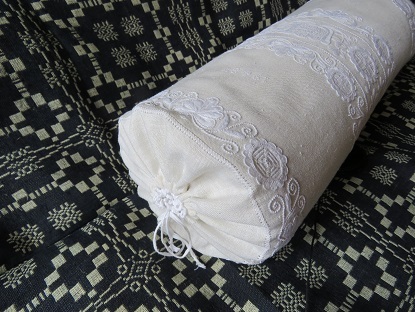 The pillow form is inserted into the embroidered bolster cover, and the ends are gathered and closed. A very decorative bolster is finished. Of course such narrow border designs have a multitude of applications. The designs can be re-sized to become suitable for different kinds of miniatures, for example a pincushion roll or a pincushion square. I hope I have given you some good ideas for Christmas gifts! sehr schön! Da bekommt man gleich Lust zum nacharbeiten! es gibt so viele schöne Dinge, die man sticken könnte. Leider fehlt manchmal die Zeit, alle Ideen umzusetzen. Solch kleine Schwälmer Börtchen sind aber relativ schnell gestickt und dennoch wirkungsvoll. 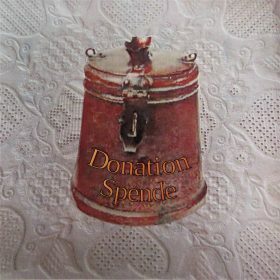 Ein derartiges Projekt muss also nicht auf die lange Bank geschoben werden. 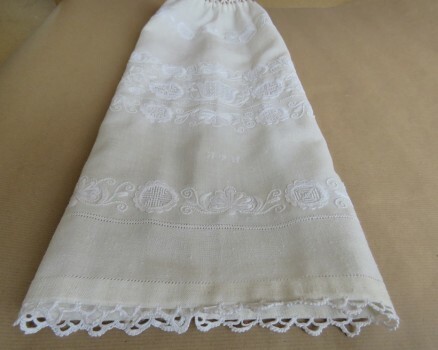 Dear beloved,wonduful.linen fabric very happy.these days blanket covers working~weddigen linen.thankyou so much. 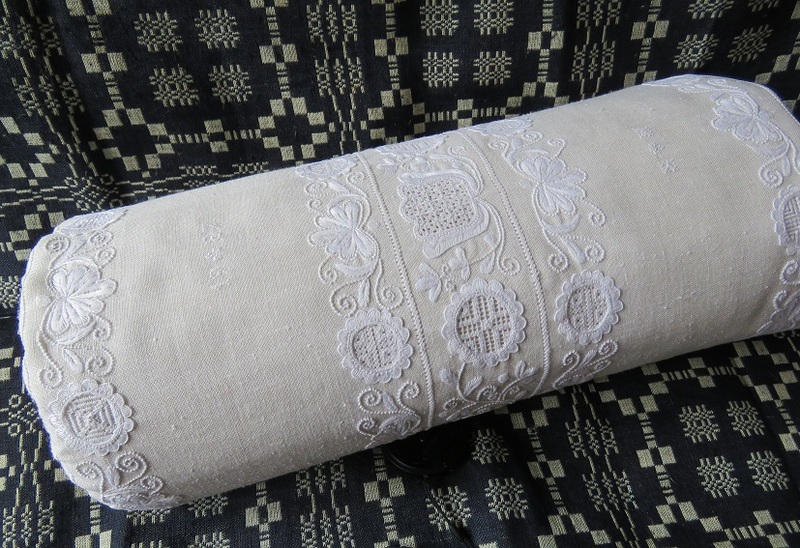 Hi Luzine, Wow, this bolster cover is absolutely gorgeous! You do such beautiful work.